We had the wonderful opportunity to stay at the rec camp during the Fourth of July celebration. While very crowded, the facility was very pleasant and the staff was cordial and helpful. The bath house and extra porta-pottie facilities remained fairly clean due to the staff's attention to cleanliness. Overall, my family and grandchildren had a wonderful time. Keep up the good work and thanks for a wonderful camping experience. In rebuttal to the lies the last user posted on this site!!! Was there, and the person that posted the last review was asked politely many times to move their cars to the proper required parking area, was also told that they can load and unload their things in front of the pavilion but had to move to the large parking lot many times, if this person had a handicap sticker why was it not displayed properly, interesting you say? Catering vehicles are aloud to park there because they continuously go back and forth to their trucks to get things, not that this should have to be explained to you!!! I am ashamed that a person of this age could say such lies and look at themselves in the mirror. Hope you don't plan to go back to this rec camp because you do not deserve to go to such a nice place, as for your family they are very welcome to enjoy the facilities herein. The brand new bath-house is open for business. Turned over & opened up this morning. It's very nice. 2 showers, 3 stalls, 3 sinks. The community room & washers/dryers are on the backside of the same new building. $1 each. We were in overflow for 2 nights. Lots of overflow but only 1 location has water. All have 30amp electric svc. Wi-fi works great. If it were nearer Goodfellow or if San Angelo were closer to "something" I'd have given "Location" a 5 star too. Maybe being off the beaten track is more desirable to some winter Texans. Anyway -it's very nice and the folks are super. Very nice, well maintained park. Electric in description should be changed to show 50 amp availability. Good news about laundry/bath, considering the age of the materials they're working with its kept very clean tho. Picked up the wifi signal but couldn't get in from site 6, not a problem for our stay of a few days, there is a good coffee shop about 3 miles up the road. Trees could use trimming, no big limbs but potential scratching if they don't get after it. Had a great time. Management treated us well. Facilities are starting to get a little old and worn. (Was told new showers and restrooms are scheduled) Overall a great experience. This is an awesome place to stay! 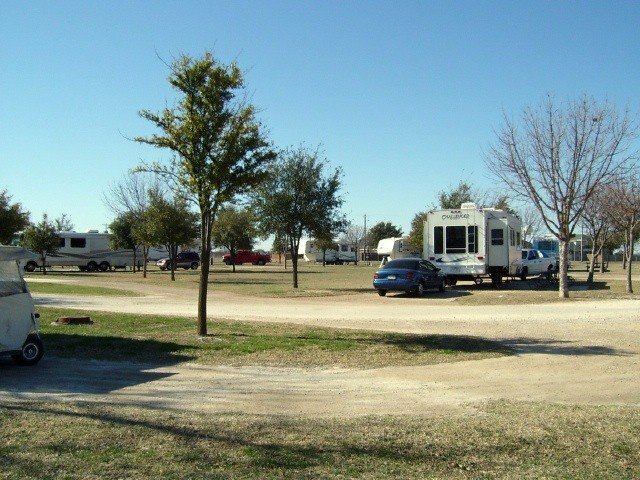 Clean & spacious sites & next to the lake, what more can you ask for in central Texas??? The Camp Host was very friendly and helpful. We saw a couple of deer while out on our evening walk around the grounds. The laundry only has two washers & dryers, and the restrooms/showers are quite dated, but other than that, this is a great RV Park ! J.P.left this review using the Directory software: We were really impressed with this campground. Here for 2 nights, passing through. We got site #8 adjacent to the "rec room/library/laundry". Most sites were pull through with nice concrete pads for the RV and a patio with picnic tables. Our side had super shade from large trees. We enjoyed being close to the lake. I assume we could have rented boats and other equipment if we wanted to. The gate is locked at night, so security seems good. A little trouble with the wifi, because the range expander was in a bad spot. I moved it a couple of feet, and the reception in our RV significantly improved. The bath and showers, although old, were clean and nicely usable. We would certainly return for another very comfortable stay. We pulled in for a few nights in early November. The camp host was extremely helpful, the park was scenic with the lake, a bit windy one night, but quiet and safe. We had to park in overflow, but all was well for a few nights. Would definitely stay there again. San Angelo is a friendly, historic small town, much history. As a retired sailor and disabled vet, I have stayed at the camp many times over the years. I have had issues in the past and they ALL HAVE BEEN CORRECTED within a reasonable period of time, usually the same day. The staff have almost always been helpful, courteous and respectful of all campers. The hosts have always been cooperative and helpful too. Yes the restroom need upgrading and understandably in need of attention because of age. Some spiteful people have misused the facilities but the staff always cleans up the mess. I am proud to be a patron of GAFB famcamp and look forward to many enjoyable visits in the future. I was the camp host during the time 'EXSailorinTexas' visited the camp ground. I would like to respond to his comments: The gates were locked each night.. on Fri and Sat nights when the facilities were crowded they were kept open later to permit patrons to leave. There will always be some trash when facilities are being used but personnel dump the trash every morning and it is a very well kept park. I had several conversations with 'EXSailorinTexas'; he appears to be a chronic complainer and was very unpleasant to talk with. I would encourage anyone considering this FamCamp to discount 'EXSailorinTexas's negative comments. This is a great FamCamp and getting better every day! This is El Jefe and I have stayed at Goodfellow AFB FamCamp six times and been camp host three times. I was not camp host during this time. I wish to respond to EXSailorinTexas. One-The famcamp is never dirty, there is trash as will happen in every park, but the park is picked up each day by the staff. Two-Because of the way the park is set out all or every site could or is a disabled site! Three-The civilian event he is talking about was sponsored in by a member of that event who is retired military and used his rights to the park. Four-The incident with the underwear happened on the Fourth of July, two months before he arrive at the park. He apparently heard this story told and added it to his tirade for color. Five-The restrooms/showers do need to be replaced, they are old, but they are kept clean and in as good shape as their age will allow. 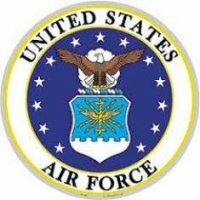 C E and the AF have promised to replace them for as long as I have been coming here. They are more than adequate. Six-How does he know that they are civilians? May be some, but most are service connected. Seven-The camp host was here every day and closed the gate every night that "he" was here at or near 2100. As for the rest of his story it is as false as those things I have already pointed out. The camp manager and the staff are very friendly and helpful and great people. All have three or more years of experience in outdoor Rec. The camp manager has over fifteen years of service to Outdoor Rec. The costs and air port are what they are. If you don't like them move to some other place. Eight-If you have an emergency call 911 or the police and they will respond, I would also notify the base security and the camp host. They will respond, but they are 10 miles away? I will not waste more time and space on this. Bottom line: Goodfellow FamCamp is a great place to stay and the staff are great people. You will always be welcomed here and treated great. Your experience here or anywhere is what you make it. BMC Bud Kingston, USCGR, El Jefe. J.G. left this review using the Directory software: Trees are maturing nicely and the stay limit is being enforced (30 days unless there are open spots, then 60 days). Campground is being kept up very well. Right on the banks of a constant level lake, they have a great marina and many pavillions. Pool is first class and open in the summer. The rates have made two jumps in the last few months but is still less than the private parks. We thought the park was wonderful and very friendly, although a little far from the base. The park host was especially helpful. There were a lot of families using the park and all its facilities. Thank you for providing it for all of us to use. Excellent famcamp. Close to lake with lots to do. Stays full most of the time and overflow is adequate. Campt staff does a good job taking care of you and answers questions and give good directions. Easy to explore San Angelo and even though the camp is off base, Goodfellow is not to hard to find. I'm told 50amp is on the way. I think services should see a need to expand camp site spaces to accommodate more rigs. The camp grounds is located on Lake Nasworthy just south of the city. The location is very nice and the weather is good most of the winter. It is located in West Texas and is warm to hot in the summer. The people in the Office are great and at $10.00 a nite is a great place to spend some time. The camp is in the middle of up grading the power to 50 amp and has up graded the overflow to 30 amps already. So, if you are in the area please stop and stay awhile.